Entrance to the grounds are free. The historical area known as Vysehrad is located south of Prague and was once a formidable fortress set high on a hill, overlooking the River Vltava. Archeological digs on the site have revealed human activity dating back to the pre-historic Copper Age, some 3800 years before Christ. Since then it has been host to a continuous line of human settlement. The early history of Vysehrad is very patchy but more evidence comes to light during and after the 10th century. 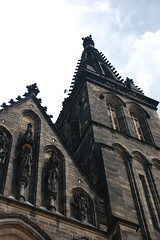 It is thought that at this time, Vysehrad became a stronghold for the first Bohemian rulers who belonged to the Premyslid line. It was King Vratislav II, the first King of Bohemia, who decided to move his residence from Prague Castle to here in the 11th century. 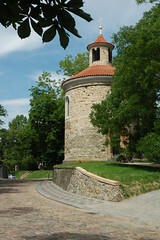 Vratislav II built the castle in 1085. He chose a prominent hill on which to construct the castle and it became a fortified stronghold. 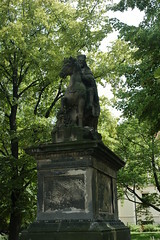 Vratislav and his descendants governed from the castle until 1140, after which future kings of Bohemia made Prague Castle their home. The Vysehrad area contains several historical and noteworthy remains and buildings, reflecting its historical significance in Czech culture. The most famous is the fully restored Gothic Church of Saints Peter and Paul. The original church dates back to the 11th century. This was rebuilt in a grand style by Charles IV in the 14th century and was the largest church at that time. It was burnt down in the 13th century and the church we see today is from the 19th century. The interior is richly decorated. Charles IV also built a magnificent castle in the area but the only section remaining is one of the gothic gates referred to as Spicka. One of the oldest remaining structures is the Rotunda of St Martin, a Romanesque church built in the 11th century which has also been restored. If you would like to see inside, you will need to make prior arrangements as it is not open for general public viewing. The Leopold Gate which was part of the castle's defenses in the 17th century still remains. The sculptures on the face of the gate are still in place. Underground casements in the castle were constructed in 1742 when Prague was occupied by French soldiers. Guided tours of the casement tunnels, which stretch for over two kilometers, are available. At the end, there is a large room measuring 330 square meters with a ceiling height of 13 meters, called the Gorlice Hall. Originally used to store weapons, it now contains some of the original Baroque statues which originally adorned the Charles Bridge. The Vysehrad Cemetery is the final resting place of many famous Czech personalities and dates back to 1869. You can purchase a guide book which gives an insight into the people who are buried there. It will certainly give more meaning to the visit. 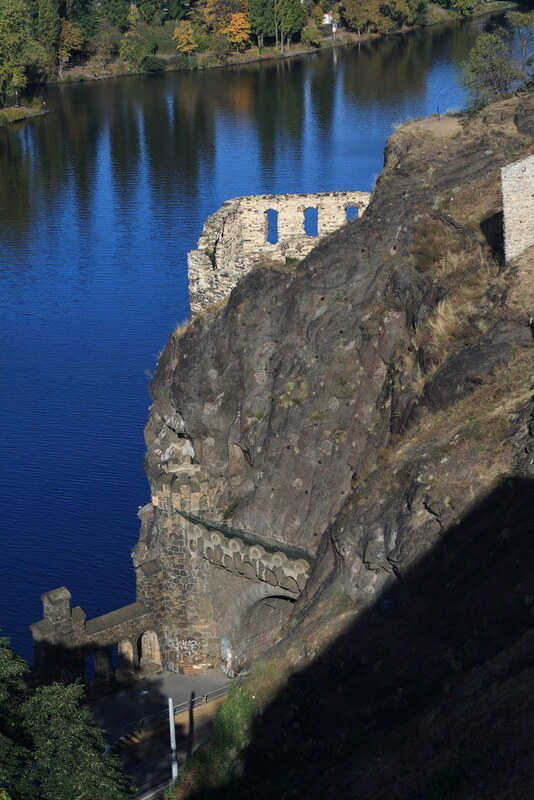 An ancient wall is still standing in the area of the gothic ruins of Libuse's Baths, named after Princess Libuse, who was the wife of Premyslid, first prince of Bohemia. 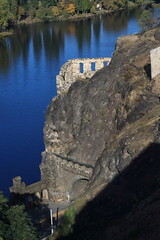 It once formed part of the fortifications of the castle. Vysegrad continued to be an important royal residence until the Hussite Wars of the 15th century. In 1420 a battle took place here between the Hussite army and the then King Zikmund. He was defeated and the army went on a rampage, destroying nearly all the buildings in the Vysehrad area. St Martin's Rotunda was the only building which survived intact. Surrounding what now remains of this castle are beautiful landscaped gardens which give the visitor panoramic views of the surrounding area including the Vltava River. Several prominent statues can be found here including mythical Czech figures and the statue of St Wenceslas. It is an area very popular with tourists and local people and is often used for picnics and family outings. There are also several cafes and restaurants in the area. Geat views nice place to sit and rest but not much else. Church was closed when we were there. 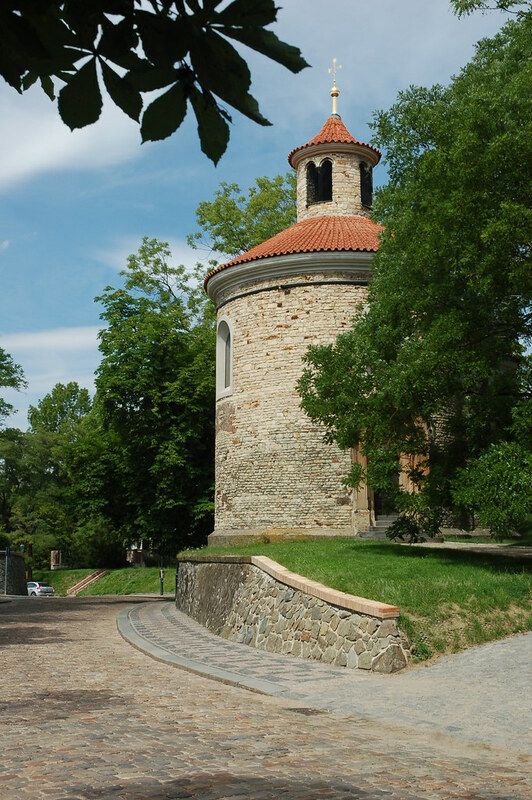 Have you already visited the Vysehrad? If so, let everyone know what you thought about it by writing a review! No registration necessary. Just click here to start writing!